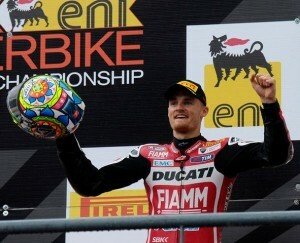 Motogear | Portimao SBK: Podium for Chaz Davies. 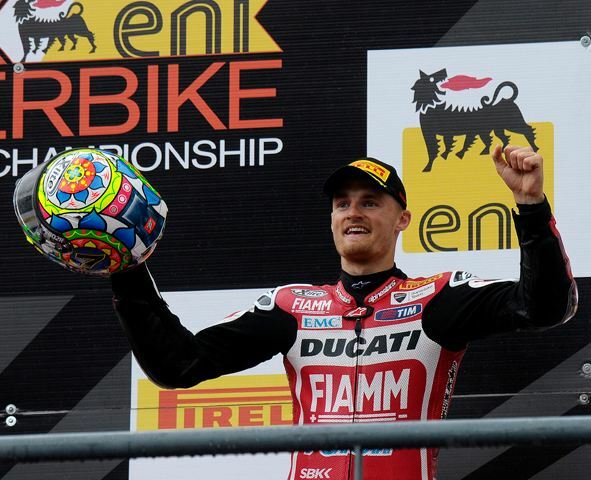 10 Jul Portimao SBK: Podium for Chaz Davies. Marco Melandri started off the Portimao SBK weekend with good performances in free practice and qualifying – so expectations were high for a positive race day. Unfortunately in race 1, the wrong tire choice was made and the weather conditions did not allow Spidi and Nolan pilot Marco to achieve better than a forth place after a very tight fight for the podium. 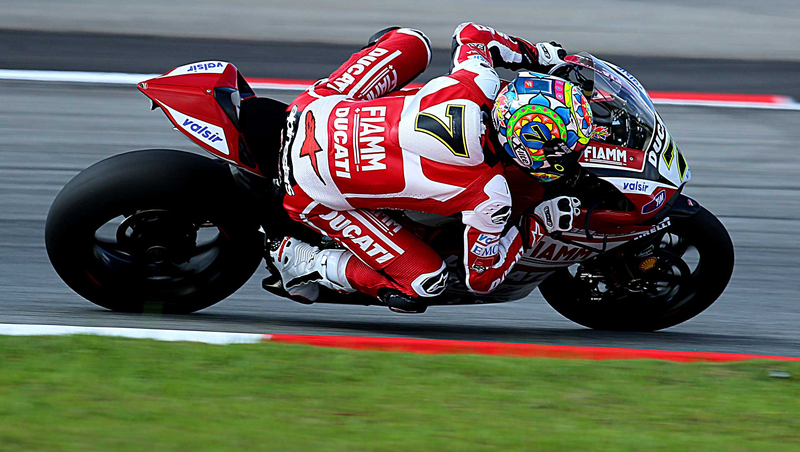 Race 2 was worse for Melandri – the race ended a few laps from the end after a crash with his team mate during a very heavy rain storm. A mixed weekend for Chaz Davis saw him crash out of race 1 but achieve a well earned 3rd position in race 2.